Amy Karle is an award winning bioartist who utilizes the relationships among the mind, body, science and technology as the platform from which to create work that examines material and spiritual aspects of life. Her work examines a future as yet unknown in which the digital, physical and biological systems are inextricably interwoven. Working across a variety of platforms she engages questions about what it means to be human by creating projects on, around, or about the body; it is the subject and the medium. Emulating patterns in physiology, psychology and nature, Karle’s artwork questions our concepts of what it means to be human and to occupy a body, expressing internal, ephemeral experiences in artistic forms. As an artist and designer, Karle imagines and examines the possibilities present in technology to support and advance humanity. Named one of the “Most Influential Women in 3D Printing” she is also the Co-Founder of Conceptual Art Technologies and has shown her work in 53 international exhibitions. She is regularly invited to share her innovations and insights as an expert speaker at prestigious events including the X-Summit and in think tanks including The Future Innovators Summit. Karle’s work as a bioartist has contributed to the establishment of this new discipline in the art world, and recently, I had the great pleasure of interviewing Karle for our Spotlight on Women series. Can you tell me a little about your personal background and upbringing? How do you think those things might have helped form your current artistic and technological interests? “I was born with a life threatening birth defect, aplasia cutis, missing skin on the top of my head, which left me open and susceptible to infection. My parents were pharmacists and biochemists that took great care of me and sought out the best medical professionals. I had a number of experimental surgeries until one worked when I was a teenager. This experience influenced me in so many ways, first and foremost healing the body – I wanted to solve the “problem”, I wanted to be like other kids, I wanted to have hair on that spot on my head, I wanted to heal. I couldn’t do a lot of things that other kids did so it also made me very cognizant of the constraints and the limitations of the body. This was more of a metaphysical kind of understanding and a mind body understanding – how to find freedom within the limitations of the body – that many aren’t forced to face until they are older. I also had a lot of death growing up. I spent my young years with my grandmother while my parents worked. I used to go with her to see her friends. When they got sick we would visit them in the hospital, and when they died we would go to the funerals. I was witnessing rituals about the body and learning ways we deal with these human experiences, publicly and personally, in our minds, bodies, emotions, and spirit. I grew up in Endicott, NY, the home of I.B.M. When I was a kid we would take field trips to see people’s dads that worked there. We would see these rooms filled with giant super computers and were told stories of a future – this promise of technology – that by time we were adults, we would have computers that would be able to solve our problems for us, do work for us, and we would be able to live an easier, better life and pursue a life of community service, leisure, the arts – or whatever our hearts desire. We have achieved this is many ways – but there is still so much poverty and suffering in the world, pollution, a lot of problems that we could employ our technology to support us with for the good of our world but we have not chosen to do so. I still carry this romantic vision of what technology can do from us from that influence, as well as an awareness that we have to be cognizant to use it for our best and highest good. 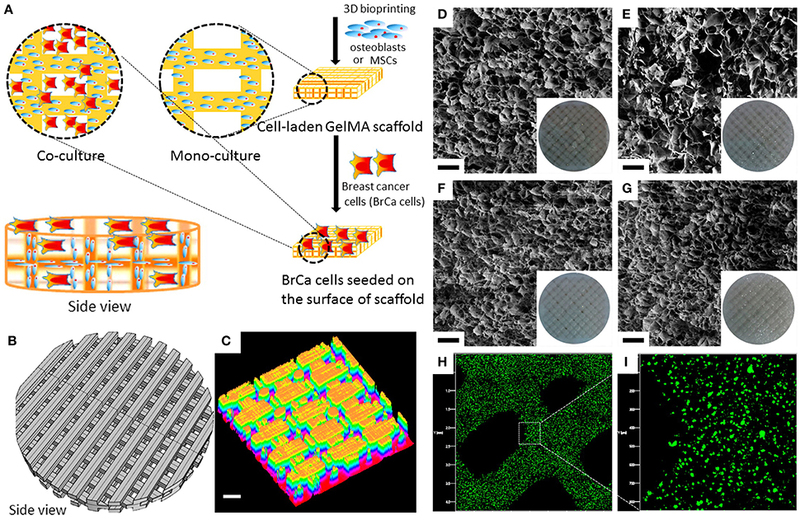 I have covered your work before; I particularly enjoyed writing about your work on 3D printed scaffolding for cell growth into human bone during your time as Artist in Residence at Autodesk. Can you tell me about something(s) that you are currently working on? “I have been working along two paths: bioprinting and collaborating with AI (artificial intelligence) to create artwork, with the intention that I can merge these two paths. The specific work I’m pursing with bioprinting is the heart and vasculature. The heart is one of those areas that really corresponds to the mind, body and emotions – it is both a vital organ and a seat of emotional consciousness. It is a rich area to explore. I’m also getting ready for a solo exhibition – The Body & Technology: A Conversational Metamorphosis – its both a retrospective and new work. I am showing 3D printed work and pieces created in collaboration with artificial intelligence, anatomical drawings and paintings made with neural networking. What I’m exploring is how we can creatively collaborate with technology and use it to enhance us and learn about ourselves in the process. In this case I utilized a neural network to create art work in the way that I would think and create art work but it surprises me in the process. It becomes another tool in the art making process and art form in itself. There is a great deal of conversation, and some widely varying viewpoints, regarding how to encourage more girls to get involved in 3D printing at an early age. As a woman in 3D printing, what kinds of opportunities support girls’ interest and what more do you think should be done? “I am a mother and I have a three-year-old child and often practice how we can create the space for our children to get involved and excited and curious to learn. I also try to set a good example. Awakening curiosity and creativity are crucial; it forms our drive, our passion, and our innovations. Getting girls, kids and anyone – involved in 3D printing requires access and the opportunity to explore. We are at a fortunate time where it is relatively easy to introduce 3D printing to children and in the classroom. Many of the desktop printers even look like a toy, an exciting and colorful machine that makes upbeat electronic sounds. There are free programs and platforms that enable experimentation with CAD and 3D printing. Projects quickly emerge learning from mistakes and using new materials – then experimenting like using recycled materials to print. The overall picture is about opening a way of thinking of additive manufacturing and offering 3D printing as a tool to execute that. There are learning opportunities all around us, for example a walk on a beach or the woods – we can pick up a piece of wood and consider how nature uses 3D printing – both additive and subtractive manufacturing, that process can be studied in our bodies as well. Do you find that there are any unique challenges that you face as a woman in this industry? What advice might you have for other women who are already involved in 3D printing or thinking about making the leap? “If you’re thinking about it, my advice is to try it! If you feel like you want to try something, set up the situation for yourself to try – take some classes or try to get involved with people who are using the technology or the tool that you want to experiment and really learn about it. 3D printing has a certain mystique about it and people that haven’t actually used it often don’t understand what it does how it works until you do go through the whole process. Like with learning a new language, it could take some time – so be patient with the process. While you are learning 3D printing, the advice I have is to focus on the why more than the how. Why use 3D printing? What could those tools help you accomplish, make, or do that you could not do in any other way? Focus on the creative aspects and thinking differently of how you can use these tools to conduct research, solve a problem, tell a story, or experiment. If you are already using 3D printing, but would like to use it more, think about how it would make sense to use it for your work, and what applications and opportunities 3D printing could enable or support. Make a proposal to management. Teach yourself on the job! Your work explores the frontiers of what 3D printing can do both with and for the human body. What do you imagine as some of the most radical possibilities that could be offered through this technology? “Bioprinting presents the opportunity to alter to humanity. Modern medicine is amazing and has enabled more people to live healthier lives to a full lifespan, but it hasn’t been able to actually extend the human lifespan far beyond a natural lifespan than a human is programmed to live. Bioprinting holds the hope of being able to create organs and replacement parts for individual specification out of a patient’s own genetic material, lowering the risk of rejection. The revolutionary opportunity is that if we can make replacement parts for our bodies, that could lead to longer lives, and also could expand our bodies in ways that we have never seen before. Bioprinting replacement parts hold the potential to revolutionize medicine, extend our lives and even alter what it means to be human. We’re going to learn a lot in the process about what a lifespan means and why we’re programmed to age and die in a certain timeframe. Developments in drug testing, manufacturing, and personalized medicine are other big areas for disruption and growth in the medical and healthcare field through 3D printing. The next level is minute implantable devices, internal sensors that have an understanding of the body’s healthy homeostasis and can trigger the body to release its own hormones, stem cells, and chemicals to balance and repair on its own, while reporting all information back to your medical charts for Dr. review. What is really radical and revolutionary that I’ve seen in my lifetime is that digital processes and additive manufacturing offer new opportunities to create in ways we’ve never been able to create before, including opportunities for healing, enhancing and augmenting the body in ways we’ve never been able to before. We can 3D print bionics, wearables and implantables to help heal and augment the body. Some of these developments are not only are for healing but could enable us to be super human. When we think of the Paralympics for example, in the past people with a limb difference were considered as having a “disability” but now we can have prosthesis that have an Achilles tendon that is a thousand fold stronger than the natural Achilles tendon. This is a revolutionary area when we can make prosthetic devices that surpass what we’re given as humans, and turn “disability” into super-ability. You have discussed elsewhere that 3D printing not only changes what we make but also how we think. How is this different or similar to other media and technologies? “Yes, working with 3D printing changes both what we make and how we think. It is a reciprocal, ongoing process. What is similar to using other media, tools and technology is that each unique media or tool creates its own aesthetic, tool marks, and artifacts. Using different media and tools also allows us to achieve different functions. When we use new tools or new media, there is an opportunity to create something in a new way or make something that we’ve never had the possibility to make before. 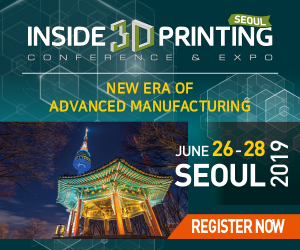 What’s different for 3D printing and additive manufacturing is that it can open minds to possibilities of what you can make in 3D form – and we live in 3D form so this is a really interesting way of being able to research, interact with our bodies, create new inventions, forms and expressions. This can range from architecture to creating new kinds of chemical compounds to building life forms that have never existed before. For the garments you created for “Internal Collection,” you relied heavily on 3D technology, but in the end, laser cut the patterns to create the pieces themselves. You mentioned in your video a challenge that is presented to 3D printing in the area of soft goods. What possibilities do you see for the future of wearables and 3D printing? Do you think that it requires a change in the technology, the way it is used, or the very conception of the products themselves? Silk, polyester, cotton, natural and synthetic fibers. A lot of what I see being done in industry now is trying to digitize a traditional analog workflow, for example a luxury glove manufacturer may make technological updates to their workflow by having clients choose their design online, 3D scan their hand through a link they send to your phone to capture measurements, then the design would be automatically sized and the pattern pieces could be set to laser cutter and a digital process would continue until it is drone drop shipped to a client’s door. In creating my ‘Internal Collection’ I was exploring advanced digital manufacturing solutions for pattern making, custom fit, low waste and soft goods for the body. I was also exploring creative collaboration with the technology. For example, one method I used made a pattern that wrapped around the body. The pattern was very complex and beautiful, as well as a perfect fit… but with the tools we have now it was so difficult to bring that into the real world in a soft and wearable way out of couture materials. It took me 3 months to unfold it and get it out of the digital realm to laser cutting. If I could have 3D printed it with soft materials that were non-toxic and wearable, I could have exported that file which was created in the round – to be printed in the round. That gets me to envisioning how else to solve this opportunity – I could use programmable materials that are cut flat and then reform, or introduce new 3D printing technologies, soft extrusion of fine threads, or end effectors on robotic arms that can crochet complex structures from digital designs around a form – in this case the shape of the body. New and exciting forms could be articulated and explored, opening the door for garments to be created in even more artful forms then we have historically seen because new tools offer us new opportunities and new aesthetics. So this is the area that I’m really exciting about seeing the change in technology in that I hope to contribute to as well. So I see an opportunity for the conception of products themselves to change and these new tools to be a catalyst for that. There are a lot of interesting aspects that open up about how to use digital tools and exponential technologies throughout the fashion industry and a whole range of questions that comes with that including safer labor standards, basic living wages, making healthier products, sustainability. Exponential technologies will touch all aspects of the industry including forecasting, marketing, customization, automation, fabrication, presentation, sales. Your interests are broad and varied while not being scattered. It seems to me that designers’ most brilliant moments occur when bringing together strains of information or modes of thinking that were previously seen as completely unrelated. And yet, as students, practitioners, and educators, we are often encouraged to become super specialized. What is your philosophy regarding depth versus breadth of knowledge and how do those ideas manifest themselves in your work? “A depth of knowledge represents maturing; a breadth of knowledge represents an openness to learn about new things. Both represent a commitment to continue to expand and grow. I follow my curiosity and my passion. Often that which sparks an idea or triggers me may not at first seem like it is in my knowledge base, or in my realm of expertise… but I know I should follow it when I can’t stop thinking about it. I’m somebody that can get really lost in research. Its not just about the research, its about the research that is happening while all the other outside influences are also happening. There is a spark or a trigger that can occur at that time, an “aha” moment. The more I work through the idea I’m chasing down, the more “aha” moments and inspiration that I get. The more we practice the more we specialize. When we inquire or work in the same area of focus, we develop a way of doing things, a signature style and an expertise. This knowledge not only resides in the area of the brain that can be thought of or expressed in language. It also resides in our bodies and our emotions, and in our kinesthetic expression. It affects how we do things and the energy that we bring to those tasks. You mentioned in our previous conversations that you are interested in the concept of 4D printing: the integration of time into the work. Picasso’s cubist work was an exploration of time as the forgotten element, how do you see 4D printing manifesting itself in terms of the products of 3D printing? Is it a visual aspect of the products or more a component of the process? “4D printing covers a wide scope, often associated with bio printing, DNA, active origami / topology, programmable matter and self-assembling systems. To me it also includes the consideration of the full life cycle of something made with 3D printing and time. This is how 3D printing occurs in the natural world. In nature, 4D printing manifests as a component of a process as well as a visual aspect. It is rare in nature to find something that is not a part of a larger, time-based process of additive manufacturing. When we drill into rock, we are drilling into a time based history of additive manufacturing that tells a story of how our world has changed through time over millions of years. Even rock was made of additive manufacturing and undergoes long-term time based recycling into different forms. 3D printing is often seen as ending when the print is made. The idea of natural forms made with additive manufacturing growing and changing over time (like a plant) and the concept of overgrowth and the full cycle of life is really interesting to apply to 3D printing. To think of the printer or 3D printing as being part of a larger process that can continue to grow and change is another way that 3D printing becomes an exponential technology. The materials themselves that are used in 3D printing are another element as well. We can design and create systems and materials that make themselves by use of energy from natural sources in the environment, they could make decisions or outputs on demand, respond to the environment, or could recycle themselves into other things. We can design streamlined processes that make smart materials and continue to take smart actions. 4D printing provides a new paradigm for how we make things and then what happens after we do. Regenerative Reliquary is a good example of 4D printing. In this work, I bioprinted a scaffold our of pegda hydrogel for cell culture. Over time, cells grow into tissue along the scaffold and the scaffold disintegrates leaving tissue that may mineralize into bone, continue to grow and do things that surprise us. When we start to think about the applications in bioengineering, chemistry, material science, computer science and physics things get really interesting. I envision products utilizing 4D printing, like self building buildings, or for substrates in vehicles – to grow in multi materials to areas that need more resistance, strength, flexibility, etc. Also, for objects and systems that can take itself apart as well. Near term and future applications include self-folding strands of synthetic and or biological materials, DNA, food, transport, shipping, and infrastructure systems like resilient and elastic electricity or piping that can change capacity and move fluid and electricity like our bodies. I can also imagine a future factory where one cell would be the basis for an entire workflow to grow replacement parts for the body as well as objects for outside of the body, like utilizing DNA as compact data storage media. Time is a component of the process that can result in form and function. It can create new visual aspects of the products with dynamic features and unique and intriguing aesthetics. As an artist and philosopher there’s an element of being really excited about the idea of time in a making process because time as we measure it is an illusion, I am excited to be able to study and play with this notion to create sculptures and designs that are a different time frame than what we would expect so that we learn things are reminded of this construct we have created. Conceptually this is very exciting. Share your thoughts on this and other 3D printing topics at 3DPrintBoard.com or in the Facebook comments below.